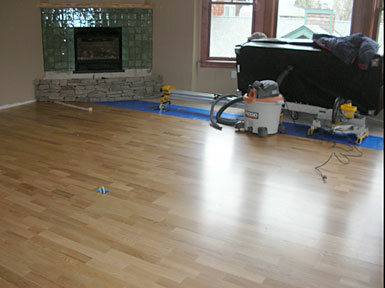 April 8, 2008 - Began the installation of the hardwood floor. We are happy with the quality and look of the floor. Had a little difficulty with mating the top step to the main field. I asked Gary if he could "be like Norm" and cut a new grove in the board to make it fit. "Norm" is Norm Abram of New Yankee Workshop on PBS. Gary was able to route a new tendon and glue it, that's why the steel bar is there. February 1, 2008 - The floor is here. 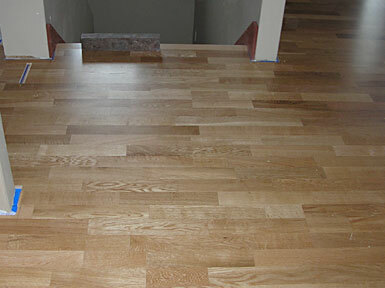 We chose a "floating" engineered hardwood floor from Kahrs that is clicked together, instead of a nail down. 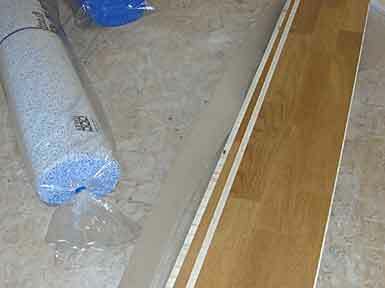 We heat with radiant floor heating, so nailing is not recommended. 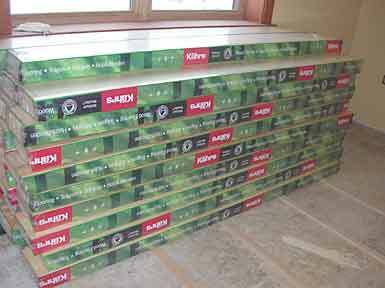 Kahrs also welcomes using their product over radiant heat.